A public presentation and seminar with resident curators Srajana Kaikini (India) and Merve Unsal (Turkey). 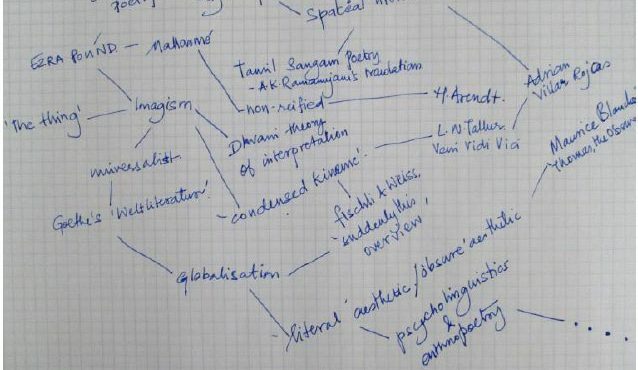 Srajana Kaikini and Merve Unsal will present their curatorial research following a three month research fellowship and residency in London. Srajana Kaikini’s interests include cross cultural knowledge, urban narratives and scripts. Her research in London has focused on the concept of ‘dhvani’ (sensation/affect) and the role of the ‘literal’ object and the objectified ‘letter’ in contemporary art. Merve Unsal’s past research has traced artistic production through the format of the lecture, letter writing and verbal collage. Her research in London has focused on artist driven and informal publishing. Kaikini is the third recipient of a Research Fellowship supported by the Foundation for Indian Contemporary Art (FICA) Unsal’s residency is supported by SAHA, both in partnership with the Institute of International Art (Iniva) the Delfina Foundation and Goldsmith’s College’s Department of Visual Cultures and the PhD. Programme in Curatorial/Knowledge. If you have any queries please call 020 7749 1240 or email bookings@rivingtonplace.org.